Lydia was just one art student of thousands with great artistic potential who learned their craft under the Swedish master, Sven Birger Sandzén. Of those students, many of their works hang in the home galleries of Lindsborg residents, churches, schools, establishments and at the seniors' Bethany Home hall galleries. To this day, these paintings continue to take the viewer back to thoughts of "the way they were," Sandzén with his students, who created these works of inspiration, beauty, and wonder! Sandzén was born in Blidsberg, Västergötland, Sweden in 1871. His father, Rektor Johan Peter, was a Lutheran minister, and his mother, Clara Caroline Elizabeth Sylvén, a water colorist. As a young man, he had been schooled under the instruction of Stockholm's internationally known Swedish artist Anders Zorn (1860-1920) and the Swedish artist Richard Bergh (1858-1919) who became director of the Swedish National Museum in Stockholm. During Sandzén's early days as a struggling art student in Stockholm, fourth Swedish American Bethany College president Dr. Emory Lindquist in his 1993 book, Birger Sandzén, An Illustrated Biography, writes on page 11, that Birger Sandzén " '...lived austerely within his limited financial resources, and at times he was uncertain about the future.' He wrote in a letter to his father [a pastor] in October of 1892, describing his situation: '...Although it already seems as if the life of an artist is difficult and trying, I cannot but believe that it is God's will that I go this path. I think that I have been almost led by Him step by step for several years in that direction, and it cannot be His intention to permit an honest, hard-working and struggling person to suffer want because he has chosen in many respects a difficult career in life.' "
Early in the year of 1894, Sandzén would finish his art studies in Paris with Edmond François Aman-Jean (1858-1936) who at one time shared a studio with Georges-Pierre Seurat, a post-impressionist painter. 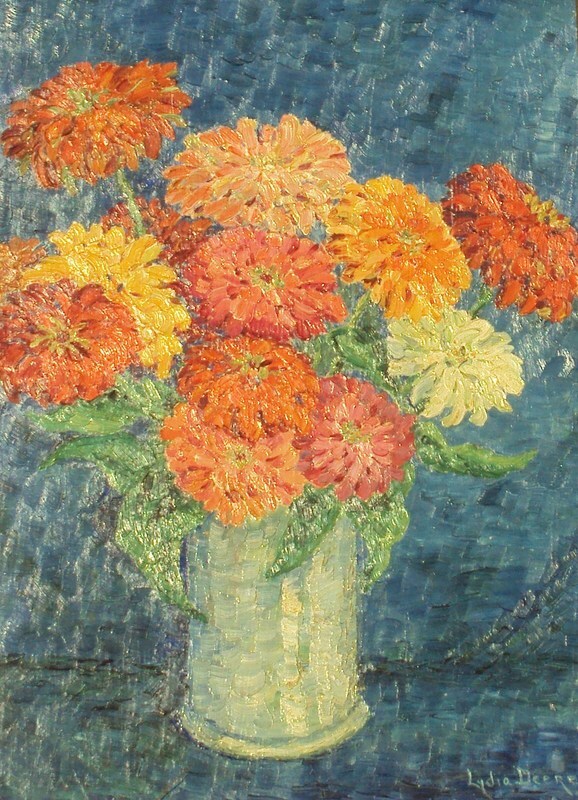 Aman-Jean was a former student of the École des Beaux-Arts and promoter of impressionism whose works of art had won him recognition in the leading galleries of Europe. Sandzén’s Aman-Jean classes included students from 12 other nations, some of whom were from America, a country which intrigued Sandzén. The vastness of it and the great promise that it held for foreigners as well as the abundant opportunities it held for artists to paint the beauty and splendor of landscapes untouched was persuasive and enthralling. This new land, along with the captivating literature on Lindsborg and Bethany College, Sandzén read from the 1891 book, I Sverige, (In Sweden) by Swedish American Bethany College founder, Dr. Rev. Carl Aaron Swensson, further fueled the fire of Sandzén’s dream to one day live in America. Hence, despite Sandzén's studies with Zorn and Berg in Stockholm -- the beautiful Venice of the North, and his stimulating experiences as an art student in Paris -- the most splendid cultural capital in the world, Swedish Lindsborg, centered in the great barren plains of Kansas, won his heart, finding him writing a letter from Paris in February of 1894 to Swensson regarding employment to become an instructor at Bethany College. As Swensson was traveling through Europe during that same year, he met with Sandzén in Paris. He was so impressed by him that he invited the twenty-three (23) year old Swede to join the Bethany faculty. 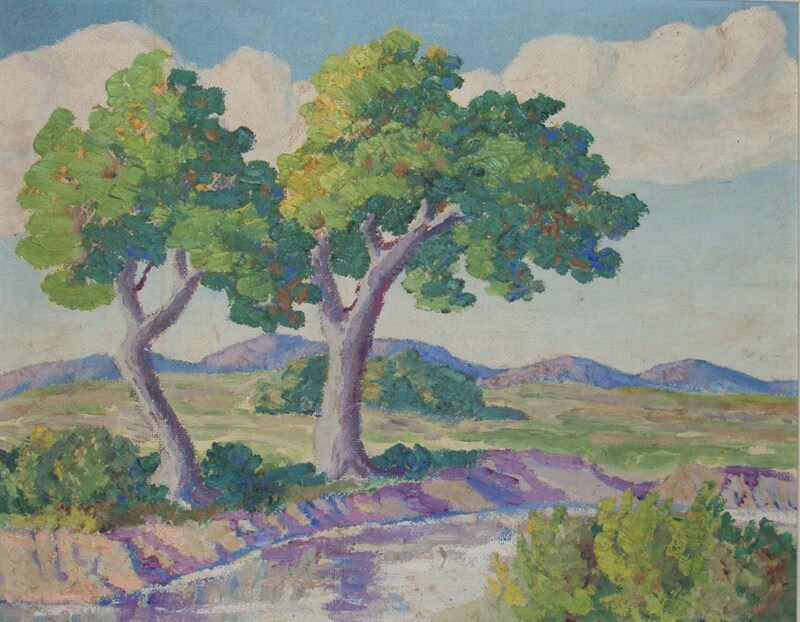 Thus, Sandzén was on his way to America, to Kansas, to Lindsborg, to Bethany College, to begin his teaching career, and to paint the landscapes of the American West! 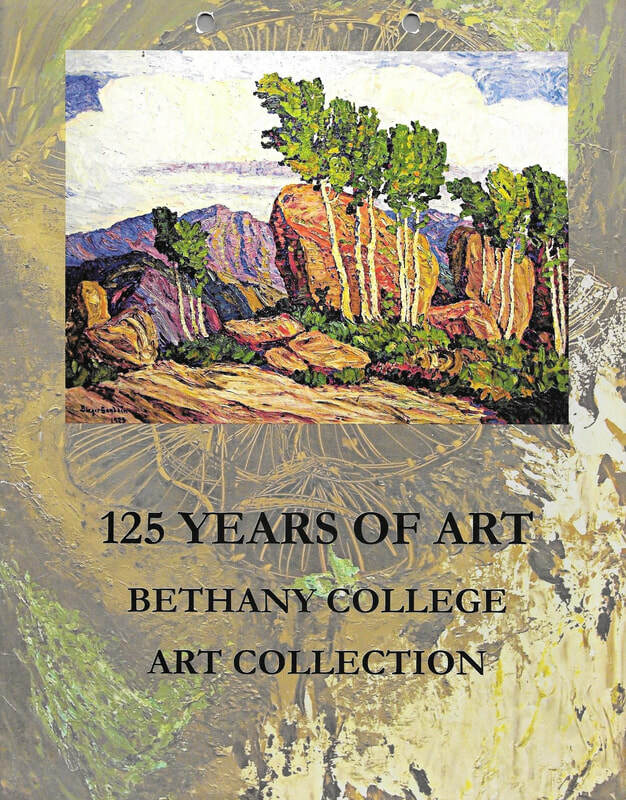 This was the Sandzén that Bethany College would received in late 1894 -- an artist fresh from Paris, full of cultural joy and ideas, wanting to share them all with those at the College. These were the planted seeds which would eventually begin an art movement drawing many in the Kansas Smoky Hill Valley, students and residents alike, to study and to appreciate art at Bethany College. While his first assignments as a professor at Bethany College were to teach courses in Swedish, German and French, Sandzén also assisted Olof Grafström (1855-1933) in the Art Department. Grafström, born in Attmar, Medelpad, Sweden, would graduate from the Academy of Fine Arts in Stockholm with two of Sandzén's former teachers, Anders Zorn and Richard Bergh in 1882. There after, he began his career as an artist painting the landscapes of Northern Sweden and Lappland until 1887 when Grafström moved to Portland, Oregon to paint the American Northwest. 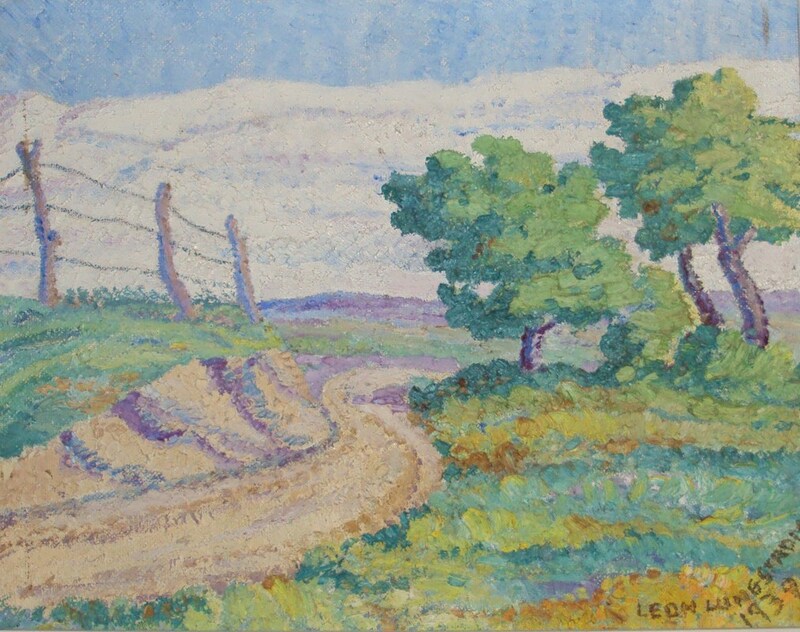 Before moving to Lindsborg to teach art at Bethany College in 1893, he also lived and painted in Spokane, Washington, and San Francisco. In 1897, when Grafström accepted the position as head of the Art Department at Augustana College, founder and second president of Bethany College Dr. Rev. Carl A. Swensson, upon the recommendation of Sandzén, hired Carl Gustafson Lotavé (1872-1924) to become the head of the Art Department. Born in Jönköping, Småland, Sweden, Lotavé had been a classmate of Sandzén's while they studied together under Anders Zorn in Stockholm in 1891. He was already a recognized and established artist on the Continent whose subjects he painted were of European Royalty and famous persons. In 1899, when Professor Lotavé was hired by the Smithsonian Museum to paint Native American scenes, he relocated to Colorado Springs at which time Sandzén became the Chair for the Art Department at Bethany. His predecessor and friend was to finish his art career in New York City painting portraits including those of famous World War I American Generals. 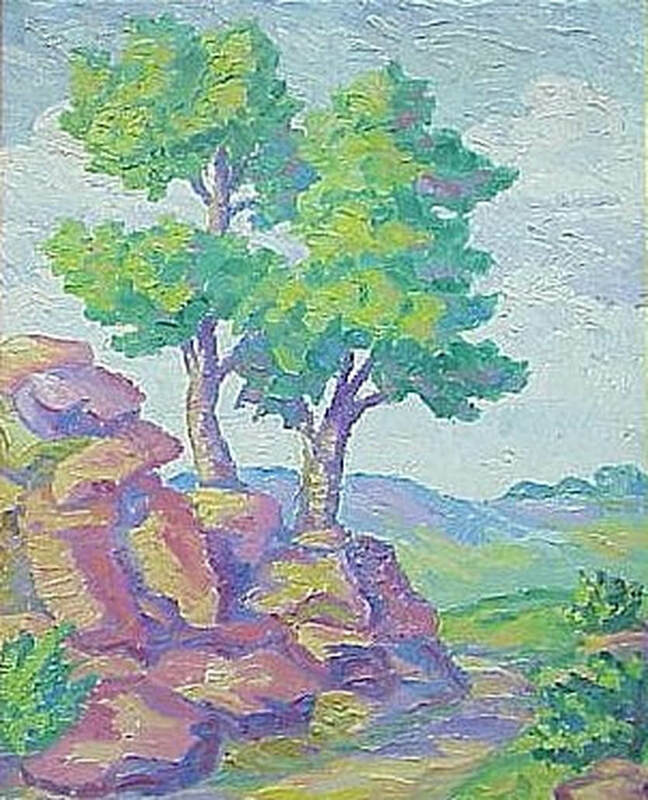 Thus, Lydia’s art professor was destined to live his dream, to paint the American landscape of the wild rugged West by becoming a Swedish American pioneer settling in the little Swedish city of Lindsborg to teach art at Bethany College. Sandzén would leave an incredible "legacy of visual art" behind in Lindsborg, and art of which would filter out to other parts of the nation, to Europe and Sweden. The abundance of art in Lindsborg is the direct result of Sandzén’s ability to have instilled a contagious love for art and its understanding with his students, and, more generally throughout the Smoky Valley, and specifically within this tiny "isolated" rural Kansas community (as many considered Lindsborg, then, to be "isolated"), which to this day still draws artists to visit temporarily or to settle there and practice their craft. Because of his great contribution to culture through art, this Swedish gentlemen and Swedish American pioneer, Sven Birger Sandzén, was destined to be honored by the Swedish Crown two times being knighted by the King’s emissaries, receiving Sweden's "Order of Vasa" in 1901 and the "Order of the North Star" in 1940. 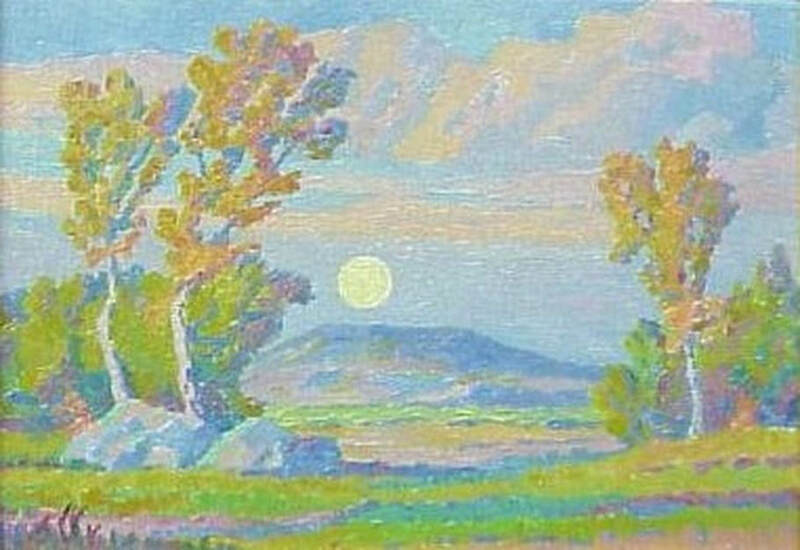 The art that Sandzén was exposed to in Sweden and France as a student and later as a traveler throughout Europe, he most certainly shared with his students in the Smoky Valley of Kansas. To share his knowledge and passion for art was his mission then, parts of which so appropriately live on to this day at the Lindsborg art gallery which bears his name, the Birger Sandzén Memorial Gallery, with the mission statement that reads: "Sharing the arts with the world, through the life and vision of Birger Sandzén." This gallery was lovingly established by his only child, Margaret Sandzén Greenough, and her husband, Dr. Pelham Greenough III, a Bostonian. These two individuals, like Sandzén, would also be recognized and honored similarly by the Swedish Crown -- for Dr. Pelham Greenough in 1963, and for his wife Dr. Margaret Greenough in 1991. Dr. Emory Lindquist who has written so fluently and passionately in his book on Birger Sandzén and his art was also knighted personally in Lindsborg at Bethany College by the Swedish Crown, King Carl XVI Gustaf, in 1976, for his similar cultural contributions. To be clear, Lindquist portrays Sandzén as not belonging to any school of art, as he continued in his own style. For Lydia's Assignments for Professor Sandzén, go HERE.